Featuring a terrace, Hotel Torino Porta Susa offers accommodation in Turin, 1.4 km from Egyptian Museum and Politecnico di Torino and 2 km from Mole Antonelliana. Perfect location of the hotel, perfect room cleaning, very good breakfast. The staff is absolutely gentle and helpful. Thanks. This elegant and contemporary hotel is set opposite Porta Nuova Train Station in Turin. It also includes a restaurant and free WiFi. Extreme politeness of the staff and the gorgeous room, esp. the bathroom. Super clean and modern. Offering 2 rooftop terraces, NH Collection Piazza Carlina is located in a 17th-century building in Turin’s historic centre, a 5-minute walk from Piazza Vittorio Veneto and 800 metres from the Royal... Being in the centrum of Torino - in a very beautiful and design hotel. The hotel, even if it has more than 100 rooms gives the impression you are in a boutique hotel (personalized service, small areas everywhere) - it's really well done. The bar is really nice (very good cocktails and food). The room is very comfortable (amazing bed) and really quiet! I definitely recommend this hotel - best price/quality value (and probably best quality in town). Hotel Victoria offers accommodation in Turin. Rooms are fitted with a TV. All rooms come with a private bathroom equipped with a bath or shower. Everything about the hotel is wonderful. The owner’s passion for the Orient is beautifully reflected in the decor. 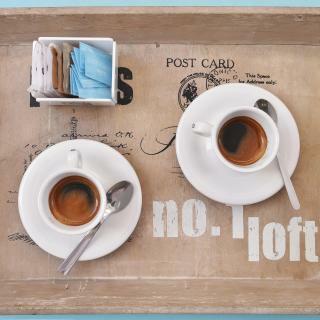 Superb breakfast buffet and great Italian coffee. All the staff were wonderful. DoubleTree by Hilton Turin Lingotto is a restored car factory which has become a design hotel. Very nice staff and excellent breakfast - highly recommend this hotel! Principi di Piemonte | UNA Esperienze provides luxurious, modern rooms right in the centre of Turin, less than 5 minutes' walk from the Egyptian Museum. You will enjoy excellent service here. Excellent location; very spacious room; excellent service; friendly staff. Starhotels Majestic is just 200 metres from Turin’s Porta Nuova Station. It offers a restaurant with a stained-glass roof, a 24-hour gym, and modern rooms with a satellite TV and pillow menus. Check in was great. The staff were super helpful as I wanted something refrigerating overnight. Turin's oldest hotel, the Dogana Vecchia is in the city's historical centre. Turin's Cathedral and Royal Palace are less than 5 minutes' walk away. Friendly staff, good value for money. Turin's Hotel Master is next to the Juventus Stadium and a short drive from the Royal Palace in Venaria Reale and La Mandria Natural Park. Very close to Juventus stadium, it was the reason why we chose this hotel. 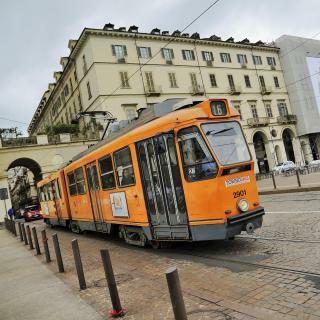 Offering a varied buffet breakfast and air-conditioned rooms, Hotel Urbani is next to Porta Nuova Train Station in the heart of Turin and is a 2-minute walk from the airport bus terminal. Location, price-benefit, and the staff was helpful. Set just 50 metres from Porta Susa Train Station, Hotel Diplomatic has excellent public transport links. It offers air-conditioned rooms with free Wi-Fi and satellite TV. The room was super clean and the location was perfect. Set in central Turin, Hotel Antico Distretto is just 200 metres from Via Garibaldi and the pedestrian area. This family-run property offers air-conditioned rooms in an elegant 19th-century building. The Hotel is in a good area close to Centre of Torino. Also not far from the Station Porta Susa. Best Quality Hotel Gran Mogol is just 200 metres from Torino Porta Nuova Train and Metro Station and a 15-minute walk to the 15th-century Cathedral, home to the famous Shroud of Turin. receptionists are all very friendly and helpful. The hotel’s location is in city center. Located along the River Dora, Turin's Pacific Hotel Fortino features a peaceful garden with summer terrace, and classic rooms with air conditioning. Garage parking is available, and WiFi is free. Good hearty breakfast, comfortable room and friendly staff. Easy parking outside Hotel. Hotel Alpi Resort is a 10-minute walk from Turin's famous Egyptian Museum and the Mole Antonelliana, the city's symbol. You will enjoy friendly service at the 24-hour reception. Location is very central, and you can't beat the price. Set in a 19th-century art nouveau villa, Hotel Dei Pittori offers a restaurant. Set in the centre of Turin, rooms here feature free Wi-Fi and a 3D flat-screen TV. The staff were very welcoming. There was a parking space reserved as requested. The brand-new Tomato Backpackers is in the San Salvario area of Turin, a 15-minute walk from Porta Nuova Train Station. This 2-star hotel offers free Wi-Fi and is managed by a young multilingual... Great location next to the city center easy to find and to get from train station. Friendly staff. Nestled in the greenery of the Po Natural Park, Parco Hotel Sassi is 4 km from Turin city centre. Its spacious rooms overlook the charming garden and offer free Wi-Fi. We have stayed at Parco Sassi three times now whilst travelling from the UK to Tuscany. Set next to the Turin Eye panoramic air balloon experience, family-run Hotel Dora offers air-conditioned rooms with free Wi-Fi. Classic-style rooms at the Dora all feature a flat-screen TV and desk. Such a warm friendly welcome, helpful and hospitable,couldn't have been better. What hotels in Turin are good for couples? These hotels in Turin are highly rated by couples: Turin Palace Hotel, Liberty Hotel and Grand Hotel Sitea. Many families visiting Turin loved staying at Turin Palace Hotel, Hotel Belvedere and NH Collection Torino Piazza Carlina. 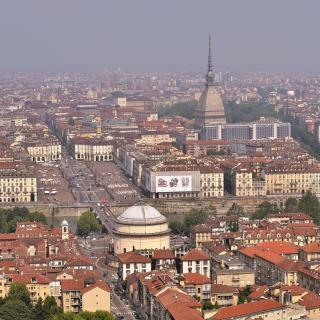 What is the best neighbourhood to stay in Turin? 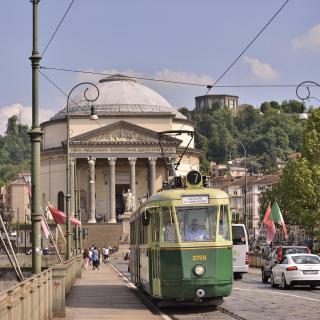 Aurora Vanchiglia, Lingotto and Borgo Po are popular with other travellers visiting Turin. The average price per night for a 3-star hotel in Turin this weekend is € 143.69 or, for a 4-star hotel, € 204.69. Looking for something even fancier? 5-star hotels in Turin for this weekend cost on average around € 259.62 per night (based on Booking.com prices). What hotels in Turin offer an especially good breakfast? For hotels in Turin that serve up a highly-rated breakfast, try Hotel Victoria, Turin Palace Hotel and NH Torino Santo Stefano. What are the best hotels to stay in Turin? Turin Palace Hotel, NH Collection Torino Piazza Carlina and Grand Hotel Sitea are some of the popular hotels in Turin. What hotels in Turin have nice views? Principi di Piemonte | UNA Esperienze, Hotel Belvedere and NH Collection Torino Piazza Carlina have received great reviews from travellers in Turin regarding the views from their hotel rooms. Travellers who stayed in Turin near Turin Airport (TRN) have said good things about Jet Hotel, Hotel Niagara and Hotel Ristorante Ruatta. On average, it costs € 67.19 per night to book a 3-star hotel in Turin for tonight. You'll pay on average around € 118.41 if you choose to stay in a 4-star hotel tonight, while a 5-star hotel in Turin will cost around € 179 (based on Booking.com prices). On average, 3-star hotels in Turin cost € 76.36 per night, and 4-star hotels in Turin are € 121.33 per night. If you're looking for something really special, a 5-star hotel in Turin can on average be found for € 164.92 per night (based on Booking.com prices). The next door Royal Palace backs onto Turin Cathedral, home to the Turin Shroud, the cloth with an imprint of Christ only rarely on display. Its museum is just one of the many fantastic Turin museums. None is better than the Egyptian Museum, the largest collection of Egyptian artefacts outside Cairo. Also noteworthy is the Mole Antonelliana, housing displays on Italian cinema and supposedly the world’s tallest museum. 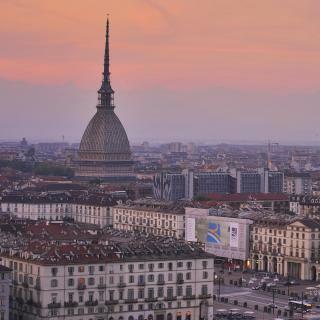 However, within Italy, Turin is best known for sport and cars. FIAT is based here and nostalgia lovers can visit the rooftop track on top of their old Lingotto factory, now a conference centre. The city’s 2 Serie A football clubs - Torino and Juventus - also have electric atmospheres at their games. The city is vivid and interesting. The city is vivid and interesting. Much more to see than Milan for.ex. Absolutely vist the Egyptian Museum (15€, you will need at least 3h) and the Museum dell'Antichità inside the Royal Palace (tickets 12€ for the whole place ), take a walk in the park (free). Take a ride up the Mole Antonelliana (cost 8€) inside the Museo del Cinema. 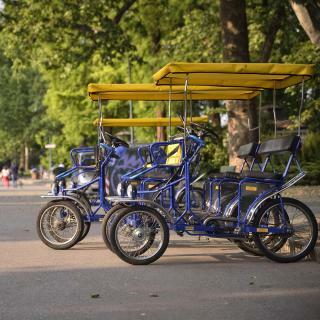 Take a stroll along the Po river to the Parco Valentino. Here you can relax and have pic nic if you like. You will also find bars, if you don't want to carry anything. The city is very easy to walk around, with broad roads and small cosy piazzas everywhere. Don't eat in the Central train station it si expensive and no good food. Try the small bars and trattorias you can find all over the city. Agnolotti (small ravioli filled with meat), vitello tonnato, cheese, prosciutto/salame and Barbera is the thing! 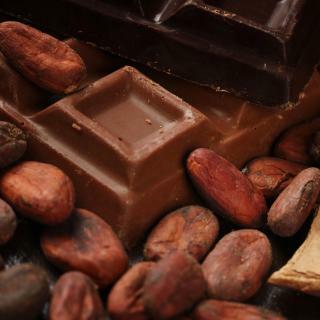 You mus t absolutely visit the Mercato.!! See photo below. I enjoyed three days stay in Turin, and visited shops, museums. and the Central market.I recommend to buy the tourist card for visiting museums , and you can add a tranport card too at a reduced price.The palazzio reale and the Egyptian museum are a must visit. Try to have a lunch at the central market, nice food and nice experience. We stay the night there twice a year when we travel by train between the Netherlands and our home in Italy. 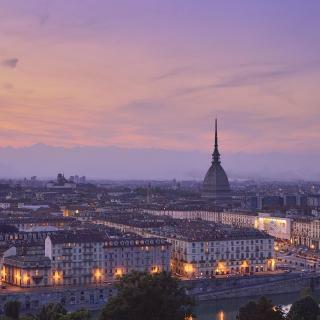 Turin is a jewel in the crown of Italy; the old centre is full of history that is being told by the impressive monuments and the statues on the magnificent squares. The arches over the streets give Turin a very special architecture and an intimate atmosphere. You can see most of the sights walking and most of the traffic is banned from the city center. The Egyptian Museum was amazing - I visited it twice. The Egyptian Museum was amazing - I visited it twice. I have visited museums such as British Museum and Cairo Museum and have to say Turin Museum is one of the best, for display and explanation of items. Food in Turin is fantastic for the pizzas and pasta - better in my opinion, than can be found in the south of the country. Easy to get around, well laid out streets, fantastic shopping - a hidden gem! Plenty to see and do. We walked to most of the places we wanted to visit which gave us a better 'feel' for the city. The proximity to the Alps (which were beautiful) is a major factor and the people outside the city were very friendly. The architecture is also stunning from a historical and modern viewpoint. The history of the city itself is really interesting. We could not get either individual tickets to travel on buses, trams or metro or multi journey tickets and we did ask at the tourist information office. Lovely city with lots of interesting places to visit. Lovely city with lots of interesting places to visit. A one day card was great value to visit places further out of the city such as the Automobile Museum and the Juventus stadium and made such visits easy and hassle free. At Home is a very spacious, secure, well-located apartment with a unique style that lives up to the photographs in the listing. There is a large entrance hall with a bookcase full of books alongside tastefully arranged trunks and suitcases and a wall adorned with old photographs. This leads onto a huge living room which includes the kitchen facilities on one side, a large table with chairs and a selection of seating. The bedroom has a very comfortable bed and the bathroom is between it and the living room and can be accessed from both rooms. Well located for city centre sights, shopping etc and Porta Susa railway station is just 13 minutes walk away. A world away from a bland hotel room and excellent value. The Breakfast is really good and the staff friendly. The style it's nice and the position perfect. The room was super clean and the location was perfect.